We love celebrating commemorating our favorite mothers on Valentine’s Day. One of our favorite details for sentimental gifts is engraving. In addition to intricate patterns and images, engraving names, dates, or messages on jewelry is a fun, beautiful way to make a gift more intimate. 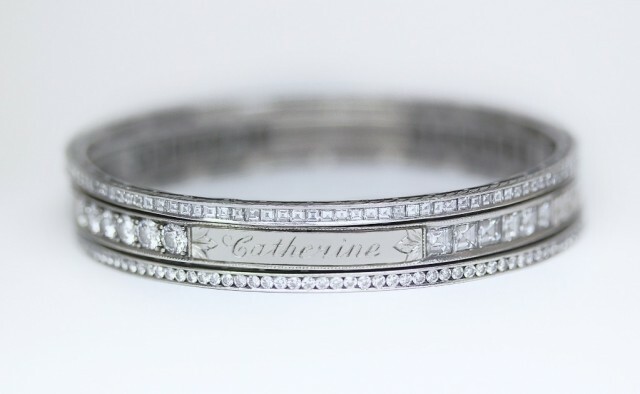 This is one of Deirdre’s Platinum and Diamond Bangles – it is engraved with both Wilson and Catherine’s names, and she wears it everyday. The engraving is not only stunning, but it makes the bracelet completely hers. 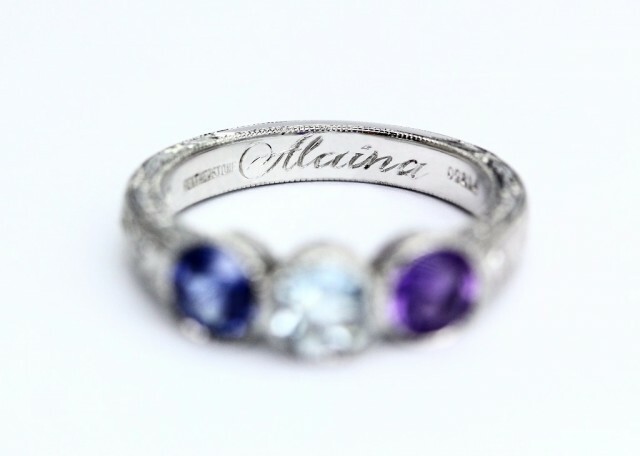 This ring celebrates a mother’s three children, with each child’s birthstone and all three of their names engraved on the interior.